Ibiza - 25SEPT - ROGER KERSHAW CUSTOM TRAVEL INC.
"Enjoy Ibiza like a Celebrity VIP"
Tucked away on a magnificent beachfront property on the island’s east coast in the Santa Eulalia area, Nikki Beach Ibiza provides guests with a stylish and multifaceted venue consisting of the brand’s signature beach club, restaurant, pool, octagon bar and lifestyle boutique. Other offerings include an area for beachside beauty treatments and a fruity array of delicious shisha. 3 PM Table booked for lunch at restaurant if desired (please confirm). 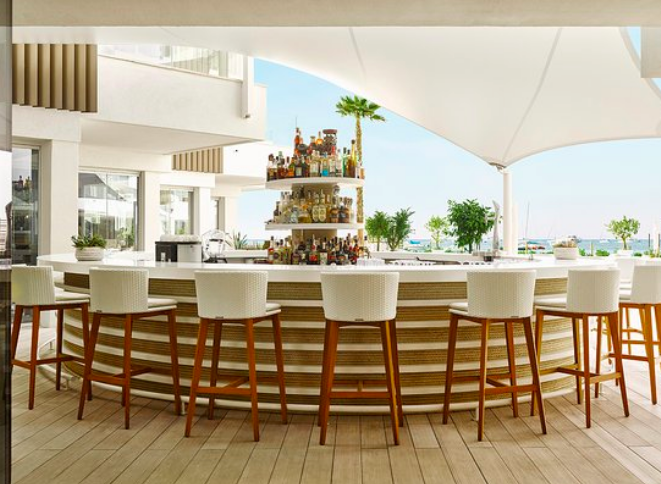 The extensive menu includes delectable dishes featuring signature tastes and spices representative of all the countries Nikki Beach is located, including delicious salads, creative sushi rolls, original seafood entrees and slow-roasted free-range rotisserie chicken. See Menu here. 7 PM Drop off at Ibiza Pier - QUICK! Change out of your beachwear into your Party Night togs! Cost of this afternoon is EUR 195 per person, assuming 18 persons. May be more or less, according to total attendance. 1AM is only for those of us who want to call it a night, early. Our Bus leaves then. For the rest of you - party hearty till 4AM and grab a cab to the ship. The Nobu Hotel Ibiza Bay 5* located right in front of Ibiza’s Talamanca beach and only 3-kilometers from Ibiza town. A new concept in the island reflecting a balanced combination of pleasure and tranquility for your senses. Nobu is a new hotel (they opened last summer) already becoming the place to be in Ibiza!! They have some the best atmosphere during evening time. As they say, "sunset starts, there is nice music, and this is the place 'to be seen' at a very chic atmosphere." One of Ibiza's most ironic qualities is its reputation. Reversing the timeline of a typical holiday hotspot, this small Spanish island has gone from being the go-to post-exam party destination to one of Europe's chicest escapes. This paradoxical perception continues as you pull up to Nobu Hotel Ibiza Bay, where the immaculate luxury of the hotel combines with the barefoot nonchalance of its guests. The five-star resort, which launched on the southern side of the Balearic island's coast in June this year, is like nowhere else in Ibiza. The pool bar is arguably in the best spot for people-watching. Serving up uninterrupted sea views and located just by the main pool and hotel lobby, guests can opt for fresh sushi rolls and fruit platters while they browse the lengthy drinks menu. Here we will find our pre-booked VIP sofas to enjoy the the magical lighting atmosphere as the sun sets out of sight. Open Bar from arrival until 945PM included; food available off the menu paid independently. 9:45 PM After sunset, we will transfer to Pacha where from 10PM to Midnight we have a VIP XL Table booked! 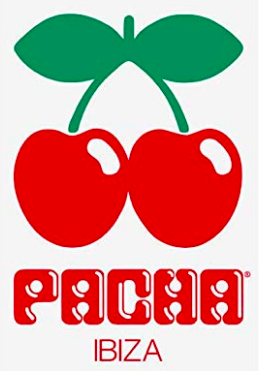 Pacha Ibiza is the most authentic, the most charismatic, and purest of them all!! With five different musical environments interlaced by stairs, doors and “secret” corridors Pacha Ibiza is the place where you would like to be seen or if you would rather... never be found. 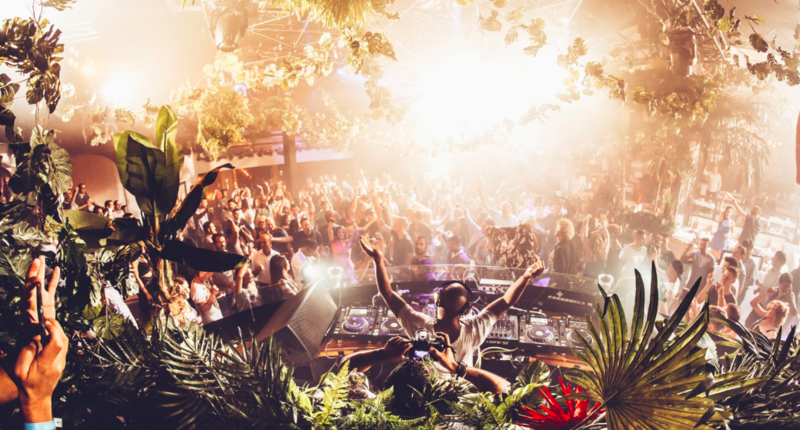 Pacha Ibiza is best known for House Music, but it embodies five different rooms incorporating other musical styles. So get lost in The Main Room, with the main dance floor in the center with bars and VIP areas surrounding it in different levels where everyone has views to the DJ and the rest of areas. This Main Room hosts the best international DJs and parties and features unimaginable performances. Feeling a bit different tonight?! Step into the Funky Room, where music acquires a disco soulful and funky touch. Now and then take some fresh air upstairs on the Roof Terrace: lounge music, inviting couches, cocktails, the moon and the stars. Downstairs again… check out the Global Room – this was the original main room when Pacha first opened in 1973 and its experimental spirit remains ever since: R&B and Hip-Hop corner, electronic varieties, live acts. Here we have booked a VIP Pacha XL Table for our group, as an anchor while you explore the club. Overlooking the dance floor, Pacha VIP is a fabulous option to live a unique experience. A fantastic place to view what is going on around you while you enjoy the freedom and intimacy but still feeling the energy from the DJ, the music and the crowd. There’s a minimum consumption of 95 Euros per person .. but it’s already included! Drink up! Midnight optional transfer to Ibiza Dalt Villa (Old town), a monumental area located on the upper part of the city, now declared World Heritage Site by UNESCO. Dalt Vila is surrounded by well-preserved walls dating from the Renaissance and built by Emperor Carlos V. The considerable height of its bastions provides a gorgeous view of the city and the port below. But we aren’t here for the history or the view. Here we will visit two of the most special pubs in the Old Town. From Midnight there are two next-door clubs, and the vibe and excitement varies by night. Our guide will know which one is THE hot spot tonight and will take us there. And if you don’t trust that decision, then slip in next door to see the other! Drinks here are not included, but the Fun is! The party is as much a street-scene as it is the club-scene. Warning! (or should that read, “Bonus!”) – they are both Fabulously Gay! But then, you probably already guessed that. The most fabulous gay bar in Ibiza. In the shadows of Dalt Vila, the sprawling terrace is packed every evening with pre-clubbers, drag queens and a fashion crowd – of all orientations. Head up to the small but lively terrace and soak up the pre-club atmosphere. The buzz is contagious and you never know what, or who you might see – it’s a bit of a pull for celeb types – so it is an outing well spent whether you’re heading on somewhere or just back to your ship. During peak season, the stylish bar and its surrounding walkways are buzzing with pre-clubbing crowd. 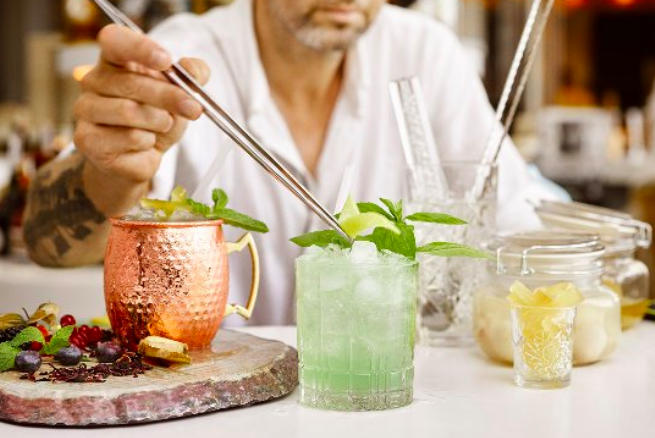 DÔME is staffed by gorgeous waiters who do their best to serve drinks as quickly as possible. This great bar has a big terrace which night after night during the summer becomes a picturesque gateway of luxury dancers, models, gourmets, celebrities, many black sheep, the occasional clueless tourist and rebels of the night. ​"Great bar with good quality drinks at reasonable prices. Perfect seating area to enjoy the drinks with friends. The service is pretty handsome, good and fast! Cozy and welcoming," says a Google reviewer. "Amazing bar! Best Mojitos and super-nice people!!! So much fun!" adds another. You won’t have a lot of time here. The party scene in Ibiza is fast and furious! Our pumpkin coach is waiting outside at 12:45PM to pick us up, drop back by Pacha to collect the less adventurous, and then off to the ship as the clock strikes 1:00 AM. OR – you can stay behind, in either the Dalt Villa or at Pacha, and continue to enjoy the building fervor of the night, and take a taxi back to the ship. Clubs close at 4AM. Cost of this evening is EUR 225 per person assuming there are 18 of us. Price may vary depending on total attendance.